Becky’s professional clay career has spanned 38 years. She exhibits at the Kentuck Festival and Bluff Park Art Show as well as other shows throughout Alabama. Presently her clay art may be purchased year-round at Blue Phrog Gallery in Montevallo. 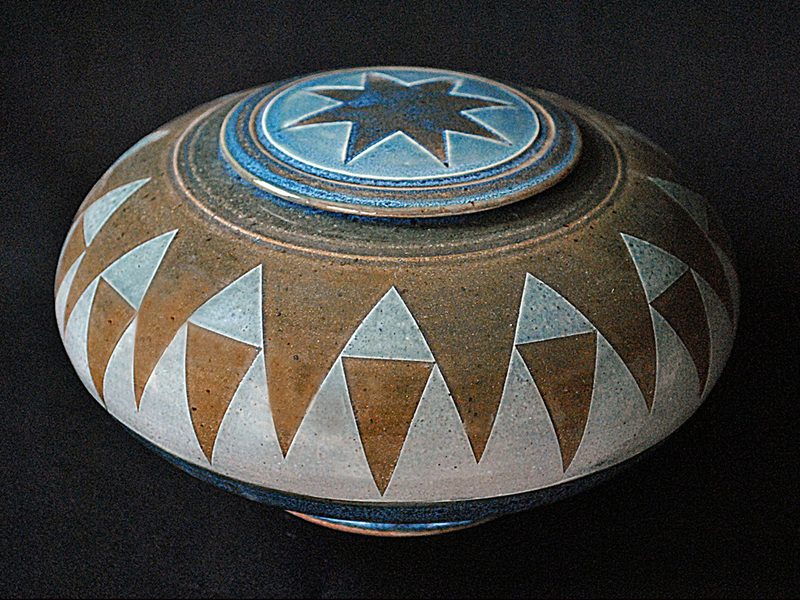 Becky’s wheel-thrown clay artworks are graceful forms with artistic surface considerations–most involving utility into art. 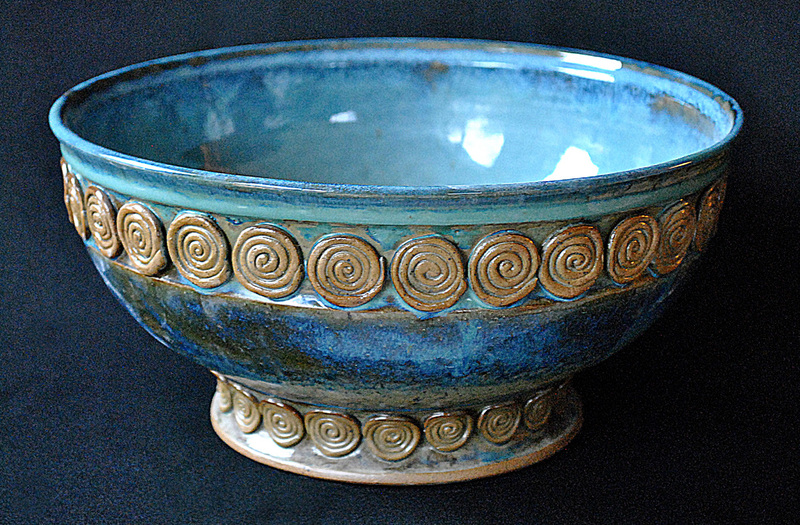 Her tripled coated glazes give a rich, cobalt blue color, patterned with crystalline bursts and textures derived from the interaction of several glaze components, including rutile and gerstley borate. Becky has developed a paper-relief and porcelain slip design technique–these design surfaces can be very geometrical or loosely ornate, with either white or black slip applications. Another approach is a method of porcelain slip decoration by simply drawing into it free hand with a pencil to create her ever-popular “swimming fish” motif. Sculptural applications are also incorporated in her “corsage” pieces, “Clayfolk” jars and figure sculptures.